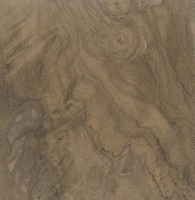 Color/Appearance: Heartwood varies from light to medium brown, sometimes with a golden or olive cast. Occasionally seen with darker reddish brown streaks. The yellow sapwood is not easily distinguished from heartwood. Grain/Texture: Grain is usually interlocked, but can sometimes be straight grained. With a fine, uniform texture, and good natural luster. Rot Resistance: Varies from very durable to moderately durable; mixed insect resistance. Workability: Can be difficult to work due to interlocked grain, resulting in tearout. Wood with straight grain has better working characteristics. Glues and finishes well. Allergies/Toxicity: Although there have been no adverse health effects associated with Nargusta, a number of other related species within the Terminalia genus have been reported to cause skin irritation. See the articles Wood Allergies and Toxicity and Wood Dust Safety for more information. 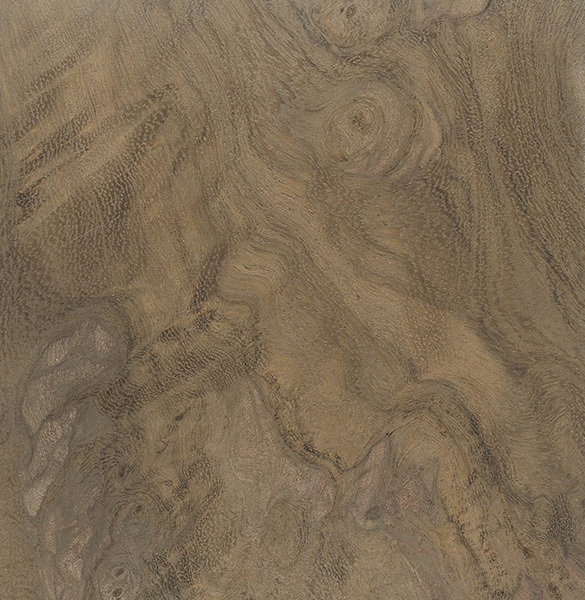 Pricing/Availability: Seldom exported in lumber form, Nargusta is usually only available as smaller craft lumber and turning blanks, particularly sections of burl wood. Expect prices to be in the mid range for an imported hardwood. Common Uses: Turned objects, furniture, cabinetry, boatbuilding, and general construction. Scans/Pictures: Samples scanned are from burl wood, and do not represent regular lumber.